Retire Ready: What if the Medical Profession Operated Like Financial Services? What if the Medical Profession Operated Like Financial Services? Janice and Ralph arrive at the medical healing center to find a confusing scene. There are many individuals wearing white coats walking in different directions, and standing near signs designed to attract potential clients. Ralph sees a line of patients waiting to see someone holding a sign that says "Free Evaluation and Professional Recommendations." He quickly jumps in line. When Ralph meets with this individual, the consultant wraps the blood pressure device around his ankle, and applies his stethoscope to his forehead, then nods with a wise expression on his face. Stranger still, the advisor recommends the same prescription not just to help him recover from his heart attack, but to cure a fever, stop vomiting and diarrhea, and cure bunions. While Ralph wis being inspected, he nervously asks "how much is this visit actually going to cost me?" The practitioner cheerfully replies "nothing." When Ralph makes it clear that he doesn't see how the practitioner can treat people for free, the consultant says "Oh, I get paid. I make a great living. Whenever I sell you my magical drug, the drug company pays me half of what you pay for it in the first year." At that point, Ralph wonders what would happen if he needed something other than this practitioner's magic drug. To answer the concern, the practitioner sulks "I'm not licensed to sell you anything else." At this point Ralph storms off and finds a new practitioner who at least knows where to apply the blood pressure gauge. However, before he and Janice are allowed to talk to this advisor, they are handed a large legal document to sign. As they read the form, they find a small section on page seven that states that the recommendations the practitioner makes might not be in their best interest. They wonder why something that important is all the way in the back of the document, but the practitioner states that only his legal department is allowed to address such a question. Looking for at least a basic level of comfort, Ralph asks "But you're going to recommend what's best for whatever our medical problems are, won't you?" "I'll recommend whichever of my company's drugs most closely fits your medical condition," the practitioner says cautiously. Ralph can't believe his security can rest on such a principle, and storms away. Finally, he finds an individual holding up a sign that reads "comprehensive practitioner." This consultant examines Ralph and finds a few minor issues. Then he recommends another medical contract that would be paid for monthly. "What do we need that for?" Ralph asks. "There are a lot of terrific bells and whistles that mean you'll get a guaranteed return." "Does our monthly fees cover the costs of those features?" Ralph asks. "Do we pay you for recommending it?" Ralph asks. "I get paid a commission for selling it to you." "What?! Ralph exclaims. "I thought you were paid on fees that I pay, not on commissions!" "Oh, that was just during the evaluation phase. Once I finished that, I put on a different hat and became a salesperson of drugs and my own wellness program." "I don't get it," Ralph says, "isn't there somebody who simply evaluates our health and then prescribes what we need, for a fair price?" "There are people like that, but not very many, and they mostly only work for rich people," the practitioner says. "Why rich people?" Rich asks. "Well, they charge actual fees, and nobody but a rich person would think of writing a check, just for the privilege of not being sick." In financial terms, Ralph and Janice first visited an annuity or insurance salesmen -- someone who recommends the same product to everyone, collects a large commission, and then never communicates with the client again. The second practitioner is similar to a brokerage firm, which often have binding contracts with their clients and only utilize the firm's own products, which frequently aren't the best options available. Finally, the third practitioner functioned similar to a so-called "fee-based" financial advisor. These individuals commonly communicate that they charge their client's fees for looking out for their best interests, but they also have the ability to sell commissioned products to the same clients. Of course, what Ralph was really looking for was a fee-only financial planner -- someone he can pay to trust and look out for his best interests. Again, there aren't many fee-only advisors, so be sure to ask your current financial planner if that is his model. 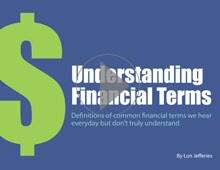 Lastly, as you might expect, fee-only financial planners work with many different clients, not just the wealthy. Doesn't it make sense to actually pay a fee in order to have someone sitting on your side of the table, looking out for your best interests?